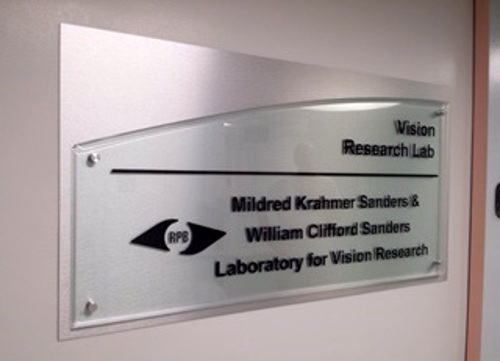 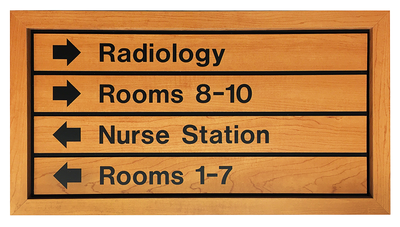 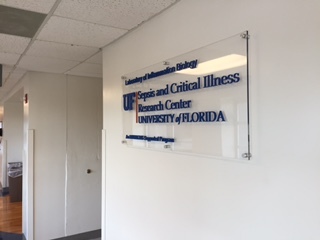 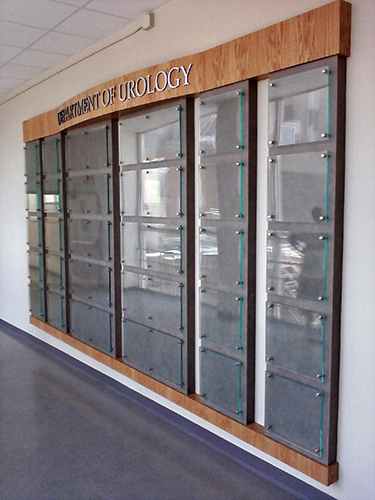 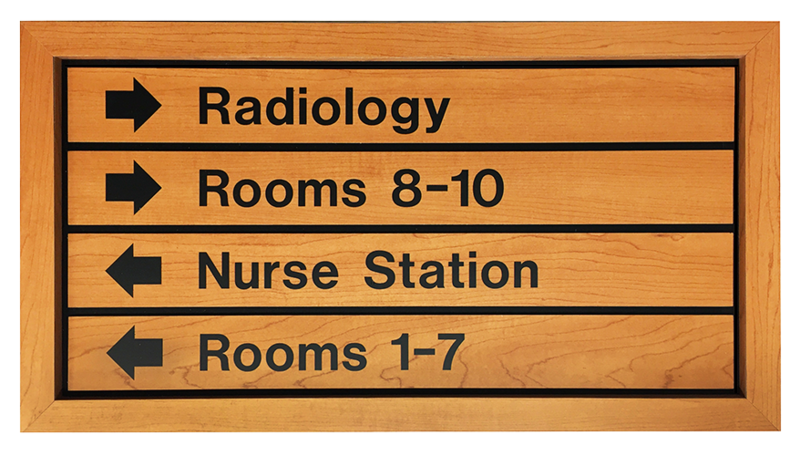 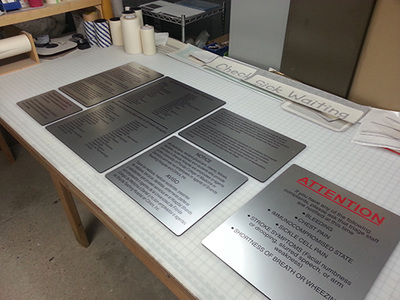 Custom interior signs and plaques by WGS Engraving will enhance your office and work space. 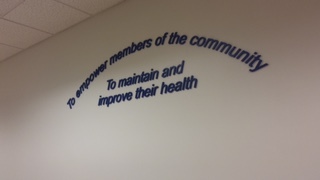 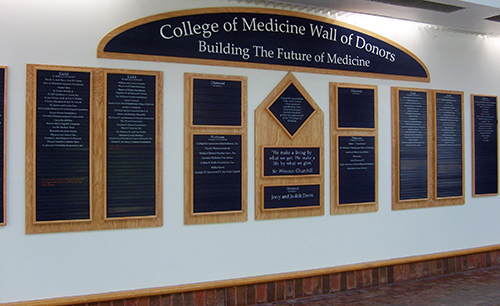 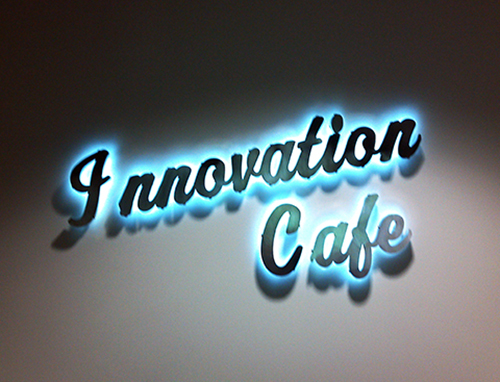 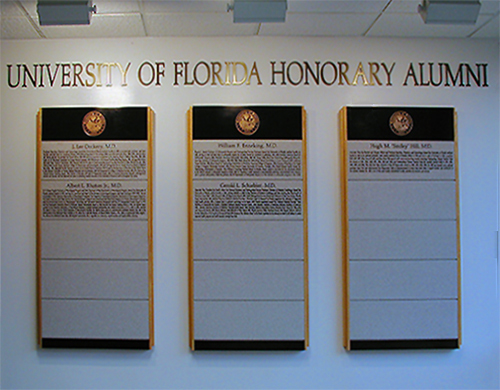 Brighten the walls, provide recognition to that special individual or group, or reinvent the look of your logo. 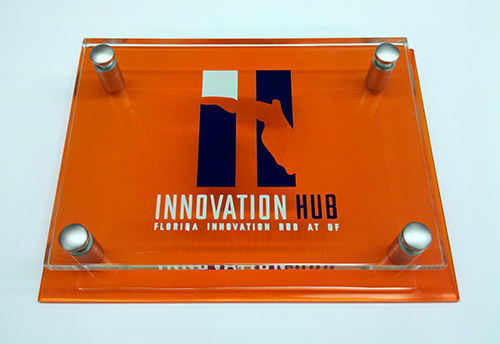 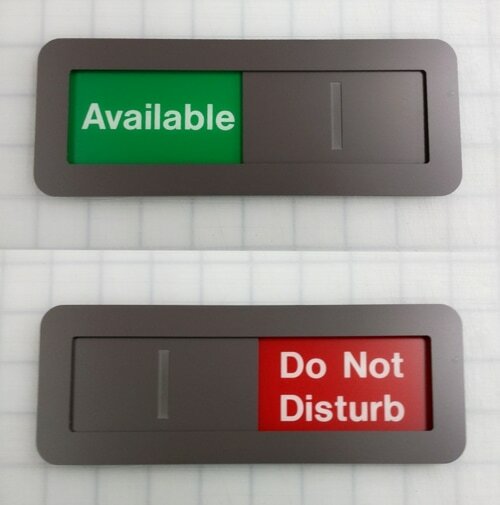 Your message will stand out in brilliant brushed metal finishes or a variety of vibrant colors. 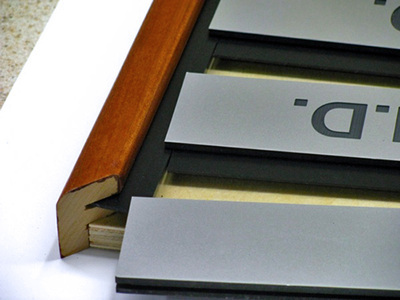 Our staff will assist you on selecting the right materials from which we will fabricate that special designation or marking. 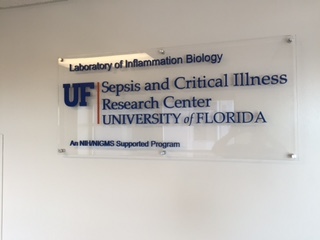 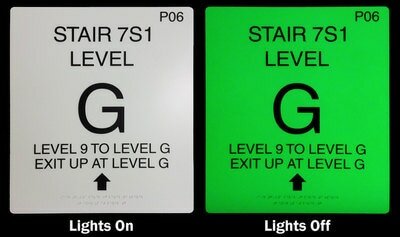 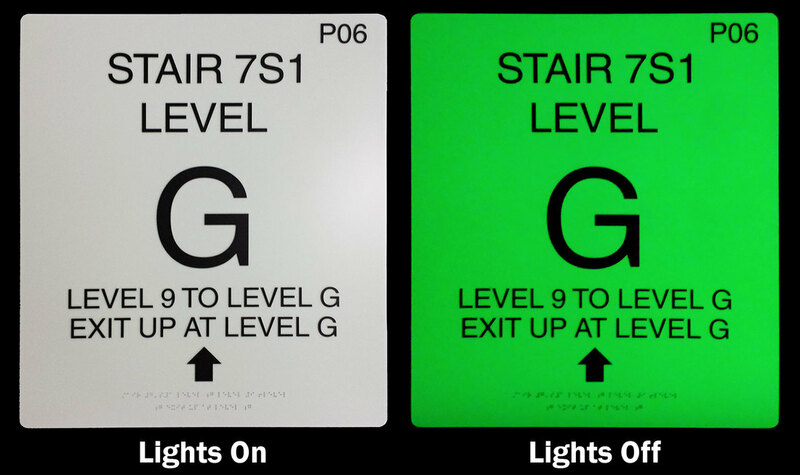 Interior signs come in a variety of styles. Your imagination is all we need in order to provide you with a custom piece all your own. 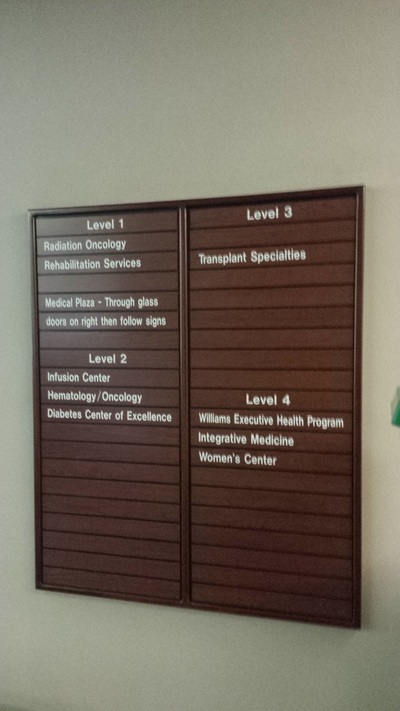 For that dimensional look, there are standoffs that position graphics away from the wall. 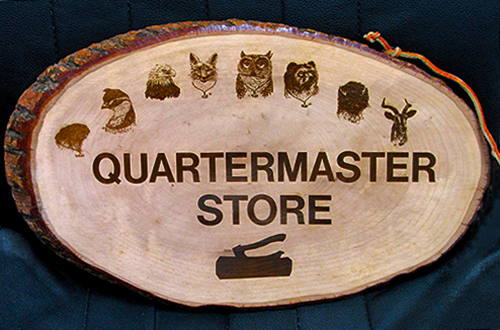 Or, WGS Engraving can incorporate 3D lettering and logos as part of your unique signage. 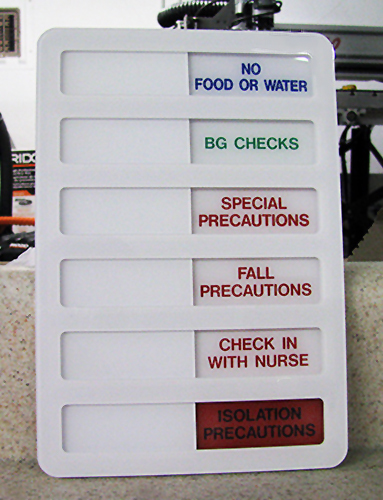 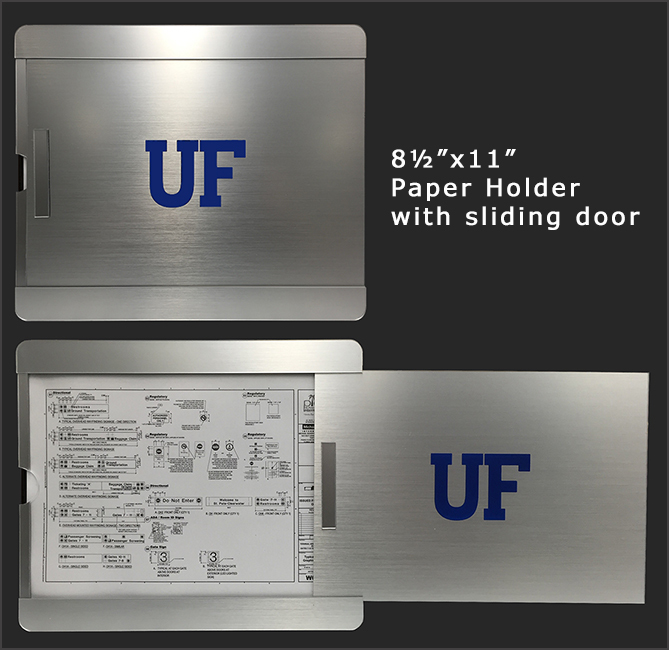 With today's sign production technology, the are very few limits to what can be produced. If you need inspiration, please take a look at the gallery on this page. 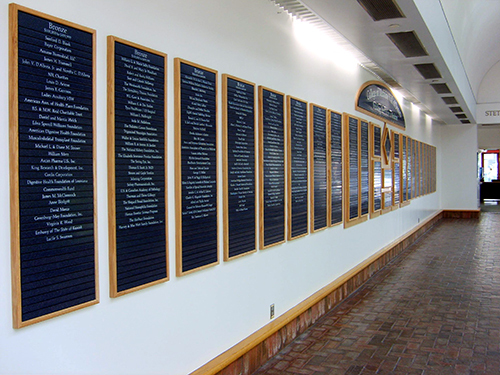 It provides a small sample of what can be done by WGS Engraving. 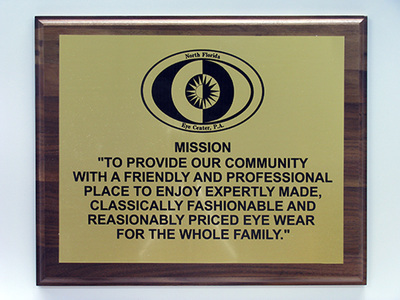 You will see a representative selection from private organizations. local and regional businesses, and higher learning institutions. Each displays its own unique way of promoting their name and message. 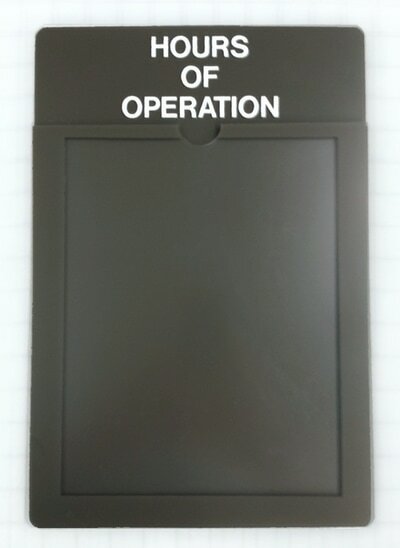 to set the process in motion. 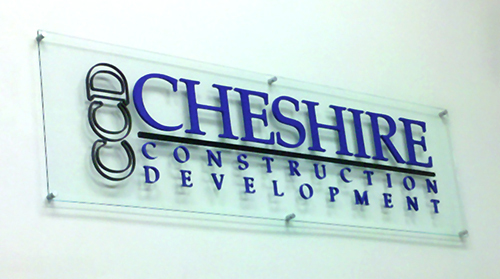 Contact us for further details and to discuss your project goal.